Summary: Teo and Emilia are friends from birth. After a bird strike during a flying stunt performance by their mothers they become siblings. Em’s mother wants to follow her late best friend’s wishes: to raise Teo in a place where he won’t be judged by the color of his skin, the country where his father was from. Set in the 1930’s Em’s mother makes the decision to move to Ethiopia where she can raise her white daughter alongside her now black son in the peaceful countryside. But, as Italy moves to invade and war brews, both children, now in their teens, have to make a decisions about home and loyalty. My Take: This book has so many layers to it. It is definitely a TCK/CCK book. Teo is half Ethopian and Emilia is half Italian. 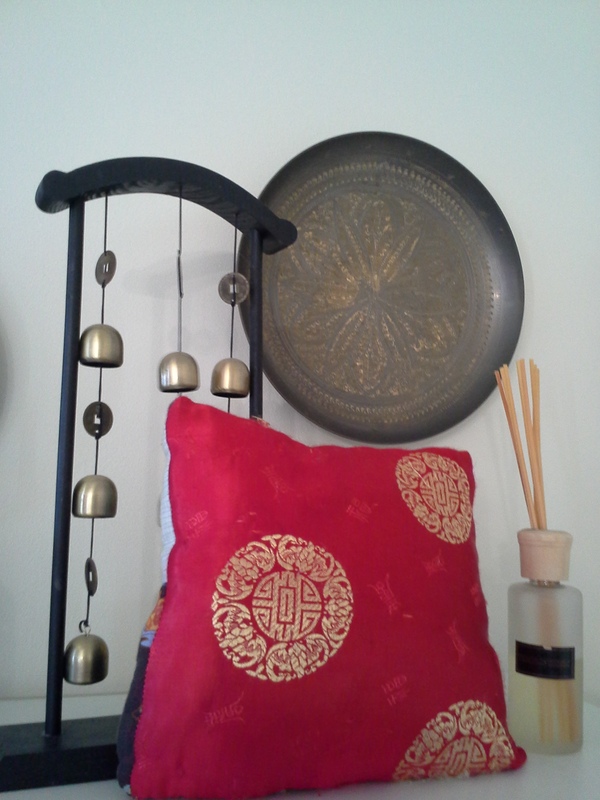 There are inner struggles of “home”, which is something most TCK/CCKs understand. Ms. Wein weaves prejudice into the lives of the children, but also into the lives of their mothers. It is just a good book that will make you think deeper about issues that are relevant today. As I read the bio of Elizabeth Wein, I came to realize that she understands the issues of TCKs because she was raised abroad and is now living abroad as well. I highly recommend this book not just because of the TCK/CCK issues that Ms. Wein attempts to tackle, but because it really deals with issues that are relevant today. Your Turn: What have you been reading? Share in the comments below. I’m always looking for new titles to read. Though, expats and TCKs relate the word with “good-byes”, new countries, and new friends, I’m going to talk about that yearly transition from summer holidays to returning back to school. It is an adjustment – for everyone involved. For the parents: It’s the return of the SCHEDULE – either homeschool or taking them back to local or international school. Either way, we don’t hear the constant two words, “I’m Bored”. Okay, maybe if you’re like a super Pinterest mom and don’t deal with this issue skip this section, I’m not talking to you. If you are like me…well, I’m still trying to “enjoy the summer,” but I’m ready for everyone to get on a regular schedule. The kids: You remember. Come on, I know you do. Sleeping in just a little bit later (or a lot later) than school days. Swimming, snacking, playing with friends, and swimming some more. That first morning of school was like being thrown in an Arctic Plunge swim. It shocked your system and was just not a pretty site. Times haven’t changed – it’s tough for our kids, too. Okay, my kids can’t wait to see their friends All Day Long, but they are NOT looking forward to early wake-ups and the dreaded homework. So, what can we do to help them? Start waking them up earlier. It doesn’t have to be the exact time, but definitely maybe trying for a half hour difference. This doesn’t have to be done weeks in advanced either – just a few days before to help their bodies start to adjust. Earlier Bedtimes – This goes hand-in-hand with the above. Same rules, a week before or a few days put kids to bed at their normal “school night” bedtime. Review Math Skills – This tip is more for elementary school aged children, but buy flashcards and a few weeks before school starts have your kids review them. Their brain has had a break, hopefully, so now is a good time to help them “think” school. Reading – If you haven’t had them reading at all this summer, then start. This year we actually are paying our kids to read. They are getting a set amount per book they read and record on their chart. It was an incentive to READ – and I’m afraid that it may just have hurt our pocketbooks, but totally worth it! Collect Meal Ideas/Make a Meal Chart – This one is for the cook in the home. I’ve found that when I take the time to make out a two-week meal plan that I actually feed my kids healthier and spend less money at the grocery store. It’s fairly easy to do this at the beginning of the year, but think about doing 4-6 of these charts and rotate them throughout the year. What do you do with your children? Do you help prepare them? Do you just “throw them into the Arctic Plunge?” Please share in the comments below. Me? I’ll be doing some of it…I’d like to get to the meal plan, but that all depends on how I do with my lesson plans. Remember…I’m not the super Pinterest mom, though I so wish I was. Today I have a guest writer. I sort of met Christa in college *ahem* years ago, then re-met while living and working at the same school. She is from the US, but married an Auzzie, and is living there now. I asked her to share a tool that she uses when working with TCKs as they transition from one place to another. I know you will LOVE this idea. It’s simple, brings out conversation, and turns out beautiful. Four years ago when our family was moving from China to Australia we went to a departure seminar led for all of the team members who were moving. We were very fortunate to have a culture in our team of giving those who were leaving a weekend away with caring facilitators to think through the leaving process and to plan our goodbyes. We were also very fortunate that departure activities were thoughtfully chosen and prepared for our two boys. All weekend long they took part in facilitated activities that led them through a process of grieving and thinking through their departure. Well I can say I am very thankful for the time our children had at that seminar and the lessons they took part in. There was one lesson in particular that was so special I have used it each time I am asked to debrief or talk with a TCK now. When I lead children through this activity I use scrapbook paper and photos but it was originally done with my children using fabric to make a pillow. 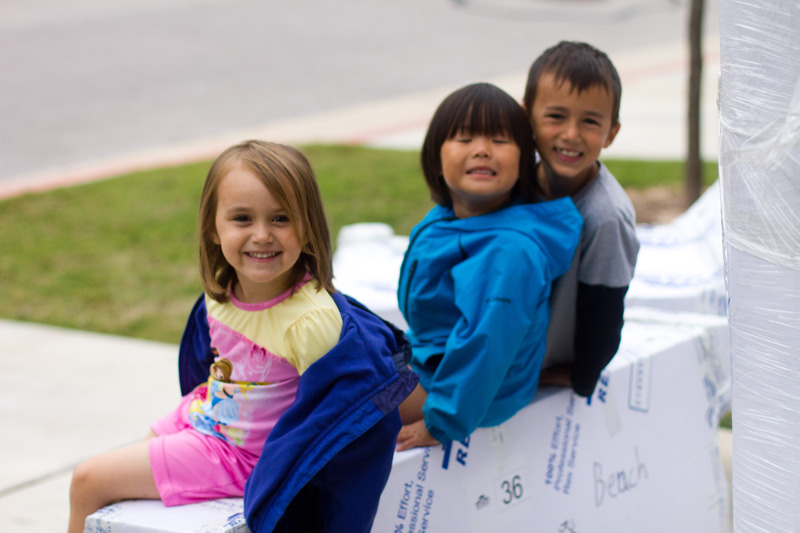 The activity is so perfect because it is easily adaptable to using whatever materials you are comfortable with. First, I ask parents to work with children to choose or print off four photos of their time in the host country they have recently moved from. I bring with me a large selection of scrapbook materials and paper. I asked children to choose a background colour and then explain for the next step we will choose two pieces of paper we really like and two pieces we don’t. While we are doing this I ask children to recall two things they really miss and they love about their host county and two things or memories they don’t like about their host country. We each share these memories with each other and it is often surprising even to the siblings what each child shares. Once we are finished sharing our memories we cut out frames for the four photos using the two pieces of paper we liked and two pieces we didn’t. We place our photos in the frames and onto the background. After that is finished they use the other materials I have provided to decorate the page. I then ask the children to step back and look at the page. Do they like it? What do all the photos look like? Are there individual things they like and don’t like about the page they created? During this time I intentionally compliment different aspects of the page and I also draw out more discussion and details about their time in the host country. We finish up by discussing that even though we might not like some individual things about the pages they are beautiful as a whole and in that way they are just like our time in our host country. God has used the not so beautiful times, (referring to things they share that they didn’t like), and the beautiful times to create something gorgeous and unique in our lives. 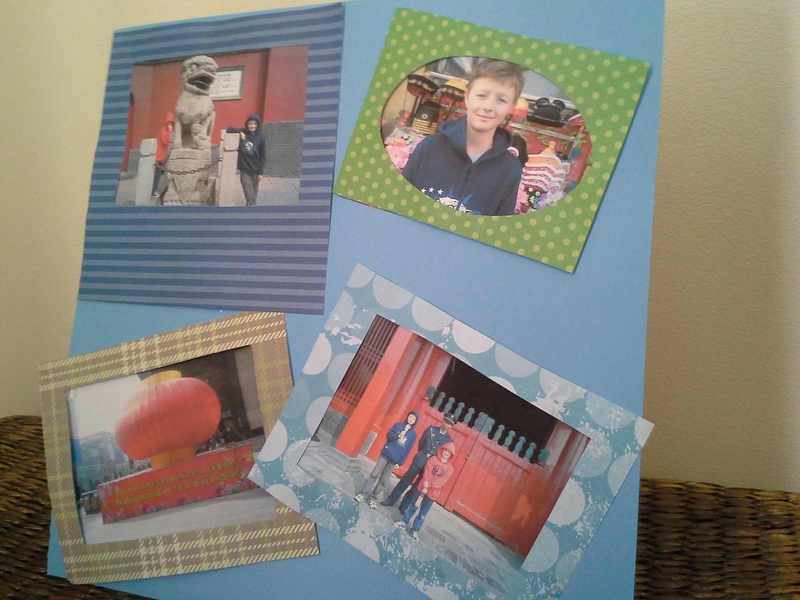 The pictures shown here are of this activity which I recently did with our boys after returning from a visit to China. There were so many emotions during and after the visit I felt it would be good to work through our time by doing this activity. 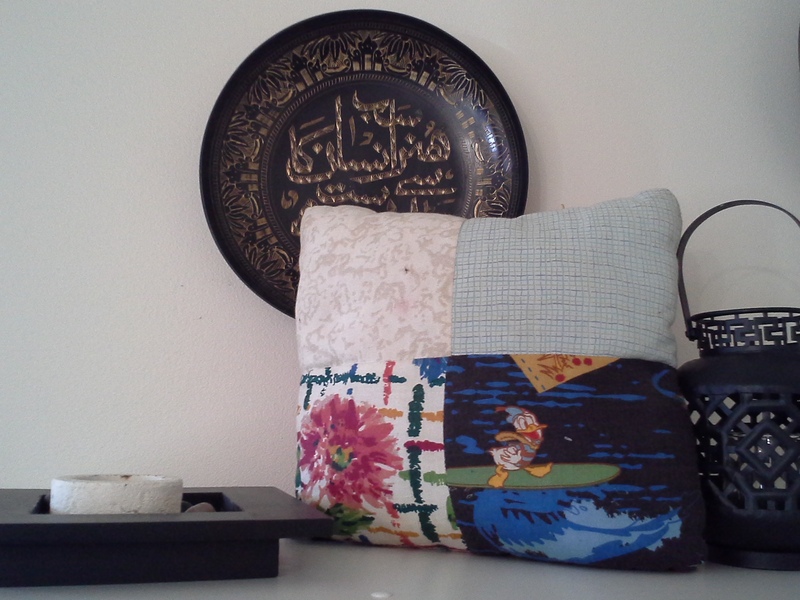 There are also pictures of the original pillow they created at the departure seminar four year ago. The leader did the actual sewing for all the children. What a dedicated leader! Our children still take these on every flight. I hope this activity can be as useful to you as it has been to me when helping kids talk through their feelings. It will always be a continuing process and no one activity or weekend will work through all of their feelings but it has been a huge help to us and helped us to remember all the colours of our time in China in a positive and realistic way. Christa and her husband lived in China for 12 years. She met her husband, Darren, in China and they married there. Both of their two boys were born in China and lived there until 4 years ago. They moved to Australia, her husband’s home country, in 2010. She has been working with TCKs and other expats since moving to Australia. She is also the China promotions manager for Stacey College and Director of Student Services for Sheridan College. As part of her work she assists students in coming to Australia to study. You can visit her blog at staceycollege.com. This week I’m celebrating my 100th post here on Raising TCKs. Click here to find out how you can enter the giveaway to win a signed copy of B at Home: Emma Moves Again by Valérie Besanceney. Today I have the opportunity to share with you some more about this great book and author. So, sit down with your cup of coffee (or tea, but Valérie and I would be drinking coffee) and learn more about Valerie and the backstory of B and Emma. 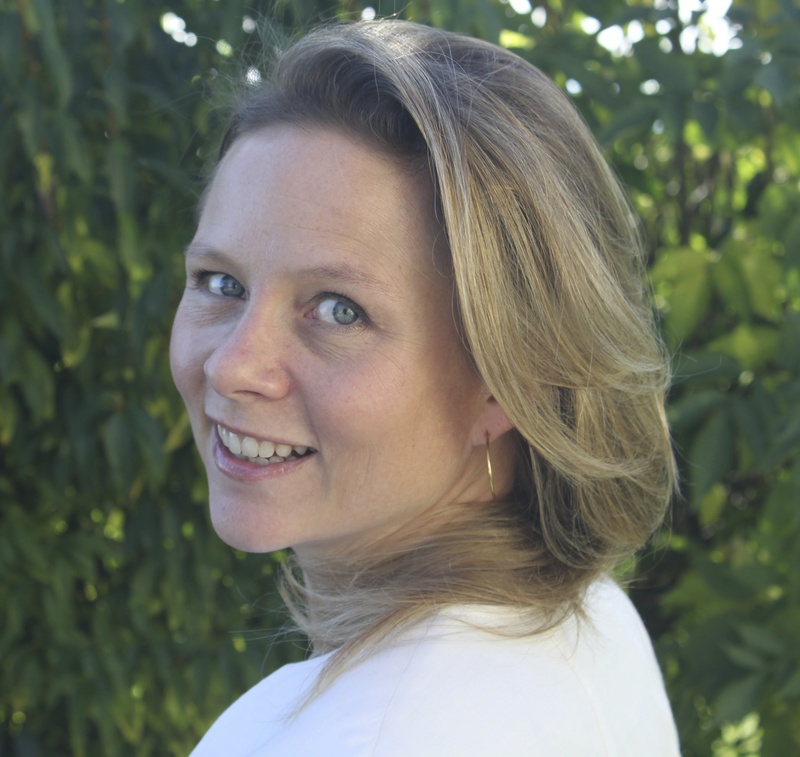 As a Dutch TCK, Valérie knows all about packing up belongings and moving around the world. As a child she moved five times, and countless times as an adult. She understands the ins-and-outs of being the child who feels they had little or any choice in moving to new places, learning new languages, and making new friends. All transitions have advantages and challenges. Children, and many adults, usually only acknowledge the challenges. This is true during the transition of a move as well. As an adult, Valérie now sees the advantages of being a TCK and shares this knowledge in her book through the sideline character, B. The idea of this unique character came from her childhood. B was her traveling sidekick during those transitional years of maturing into an adult, but also transitioning from country to country. Today, B is still a part of her family as he sits peacefully on her bed. Valérie believes that having a “sacred object” helps TCKs as they make their transitions, just as B helps Emma make hers. Valérie appreciates the time her parents took to always go back to the village in Switzerland that became sort of home to her as she became an adult. I think it’s important to know that it will take time and that you need to be patient. Take the time to edit your work until you’re truly happy with it. Take the time to let your target audience read it and give you honest feed back on the content of your work. Take the time to let it rest once in a while before you continue writing. After many people, including professional editors, have edited it have someone who you trust give it a final read through. I’ve learned that it’s very easy to become ‘blind’ to small errors and ‘fresh’ eyes are always helpful. Wise words to part with. I want to thank Valérie for taking the time to answer all my questions and for allowing me to share her story. Again, if you haven’t signed up for the contest, you need to do that. Deadline is May 30th. BONUS POINTS: Yes, today you have an opportunity to add more points and have a better chance at winning B at Home: Emma Moves Again. All you have to do is subscribe to our websites. For mine, you just need to scroll up and it is located on the right side of your screen. For Valérie’s, you need to click here. Her subscription box is also located on the right side as well. After you subscribe just comment below that you followed and you’ll get two extra entries for each (total of 4). If you already are a subscriber, then just comment below that you want to enter the giveaway because we sure don’t want to exclude those of you who have been following us thus far. Maybe you’ve seen the US Dialect Quiz roaming around on Facebook. The quiz is from NY Times and questions are based from the Harvard Dialect Quiz. Basically, you answer twenty-five questions about how you would say certain words or which word you would call an object. Then based on your answers a map is shown where in the US your dialect comes from. Any expat parent that is not a citizen of the US can probably say that their child has “lost” some of their accent. I know this to be true because my German husband has an American accent. As a teacher I have seen students from other countries speaking with an “American accent,” this includes countries where English is the official language. I vividly remember many years back a little Korean first grader saying good-bye to her teacher in a southern drawl – no hint of a Korean accent. And now, I see it with my Auzzie, South African, and even New Zealand friends – their children have only a hint of their “home” country’s accent. So, what about an “American” TCK – yes, they most likely will have an “American accent,”but even the US has many varied accents and even vocabulary words. I had two thoughts about this quiz: 1) I wondered if my accent/dialect would be different since I’ve lived overseas for sometime now and 2) if my children would be relatively close to my score. And then the question of just wondering where my husband’s accent/dialect fell since he has an “American accent,” but had only lived there for a total of four years for university (two years on the west coast and two on the east coast). The results? I scored southern Missouri/northern Arkansas, which I’d call the Ozark region. I grew up in northern Missouri, but went to university in southern Missouri. So, okay I’ll take that. I had my oldest take the quiz. He scored Washington state. And my husband? St. Louis, Missouri. Maybe I have had an affect on him after all, or the east and west balanced out? Actually, probably neither. My thoughts on this? I believe that my son’s language has been affected by his teachers and his classmates just like all other expat children. As I think about it, he has had teachers from Washington state and Canada. And I bet if I asked my husband, his accent would probably be because of teachers and coaches. I’m not the only one finding this quiz to show a differences between child and parent, though. A friend of mine also discovered the same thing. She scored Texas and Oklahoma, while her son scored North and South Carolina. So is this breaking news? No, but it may give us another example of why our kids don’t feel “at home” in the place we may call “home.” It is a tiny example, I know, but still an example. How about you? Have you taken this quiz? Has your children taken the quiz? What were the results? Please share in the comments below. But, with all the differences I have learned so much from him about TCKs and how to relate to them. If you want to read about what I’ve learned you can go here. I’m a guest this week at Djibouti Jones in her series “Painting Pictures”. This has been a fun series from fellow writers that are TCKs or raising them. Book Description: Apple Gidley is not only a TCK, but one that has parented and now grandparenting TCKs. She shares her life from the beginning in Africa with her pet monkey, to the various moves and boarding schools, to life as a young mother, and the challenges of elderly parents. She offers insights and tips throughout the book that all expats can use. My Take: I received this book from Janneke, a fellow blogger-friend who writes at DrieCulturen. 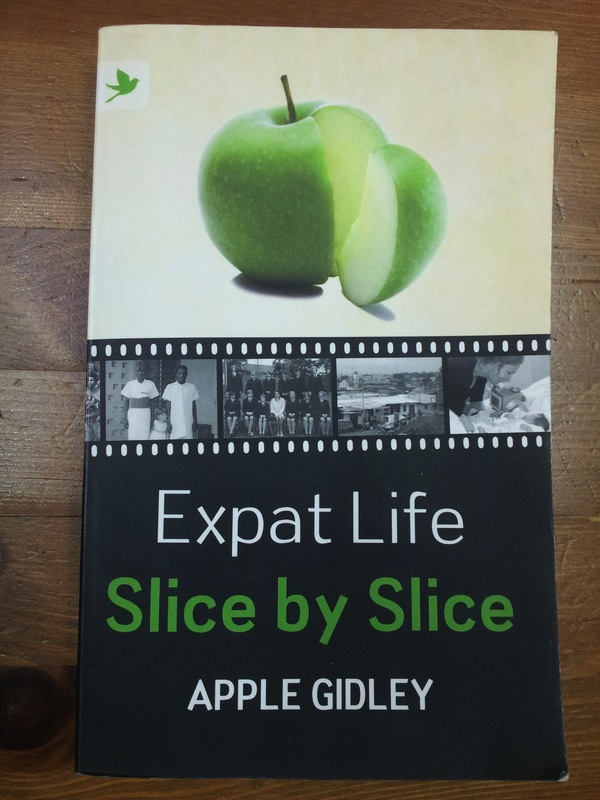 I was excited to read it after Janneke’s review because Apple has been an expat all her life. With a full understanding of the TCK experience, she shares her frustrations and excitement living and traveling around the world not only as a TCK, but also as a trailing spouse, or as she has renamed this group STARS (Spouses Traveling And Relocating Successfully). I enjoyed her humorous stories and related to many of her, let’s just say, interesting experiences. I liked this book because it wasn’t just a memoir of an expat life. At the end of each chapter (slice) she gives tips and thoughts that she calls the “Take Away Slice”. Although, I didn’t agree with everything that she writes, I do think it was a good book that made me think through some issues. I must warn you now, I was inspired with a few ideas for posts while reading this book. So, you will be hearing more about this book later. So, I definitely recommend it to those who are about to venture into expat life, those who are in the midst of the adventure, or to even those who have left or about to return “home”. She has much to share. Your Turn: Have you read this book yet? What were your thoughts? Please share in the comments below. Today, I’m over at Expat Child being interviewed. If you want to find out more about me and my thoughts about living overseas, then click here. **I’ve been moving these past few weeks, so I’ve been quiet here. I’ve had a couple of you check in on me this week. Thanks for caring enough to ask. We are all doing well, just adjusting to new apartment and new school location. *sigh* back to unpacking and lesson plans. If you haven’t checked out Expat Child, you should. Great resource for those who are raising kids overseas.